According to the Centers for Disease Control, they are now calling painkiller overdose an epidemic in the United States. This includes all painkillers including the popular prescribed Tramadol. Although most people think of it as a safe painkiller, the chance of addiction is similar to others in its class. Painkiller addiction is extremely difficult to recover from because of the underlying conditions it treats as well as its symptoms. Many people suffer from an addiction to Tramadol but there are ways to find treatment. 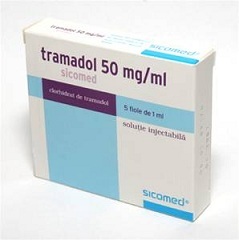 Tramadol is prescribed for the relief of pain. Tramadol is a popular painkiller. Doctors often prescribe it as an alternative to the stronger and more addictive opiates. Doctors use Tramadol to treat chronic pain, arthritis, nerve disorders, and other types of pain both temporary and permanent. Tramadol is both an opioid and a nonopioid painkiller. This is why many doctors us it to treat pain. They also use it to treat pain in people who were previously addicted to opiates. Up until recently it many thought that it was not addictive but recent studies show otherwise. exceeding the regular dosage or your prescribed dose. All of these symptoms are signs of addiction to the drug. If you are experiencing these symptoms you are most likely addicted. Why do you Need Treatment for Tramadol Addiction? You have tried to quit on your own and were not able to. Some people are powerless against the addiction and cannot stop on their own. When they try to quit they always go back to the drug. You need to find out why you are addicted to the drug. Some addictions run deeper than just the drug. Mental illness and other conditions can prevent you from being able to stop the addiction yourself. You have a hard time resisting temptations. Not everyone is good with resisting the temptation of taking a drug. You have chronic pain or another condition and without the Tramadol it gets worse but you know you are addicted. Most people think they can stop on their own. Many times this is not the case. If you are unsure it is important to try and find a treatment center early. They can help you onto the road to recovery. effective treatment rates – the program should be able to offer some form of treatment rate statistic. Although no program is 100 percent successful, they should have at least some success. accreditation and licensing – most facilities are licenses but you should check to see if their licensing is current and they should make this information readily available to you. the services you want – there are many different types of rehab programs. Each program offers different services, make sure the one you choose has the services that are best for you. financial aid and counseling – rehab is expensive. Before choosing a treatment facility, make sure you know your financial obligations, what your insurance will pay, and any government assistance you might be eligible for. aftercare services – these are services for you after you complete the program. Program lengths vary and although your program might be over, you might still need help to prevent a relapse. a balanced approach – most recovery happens because there is balance in how the treatment takes place. If the approach is unbalanced, it is not as effective. There should be a balance between self care, counseling, and medical help. if the facility is willing to meet your needs – if they do not provide all the services you want can they refer you to the ones they do not offer. It should have access to everything that you require in a treatment program, if not immediately available at least able to refer you to a program that does. All of these are important parts of finding treatment for an addiction to Tramadol. According to the National Institute on Drug Abuse, knowing what to ask or what to look for in a treatment center might be the key to successful treatment. When trying to find a drug treatment program for Tramadol addiction we can help, call 800-895-1695 to find the Tramadol addiction treatment program that is right for you.